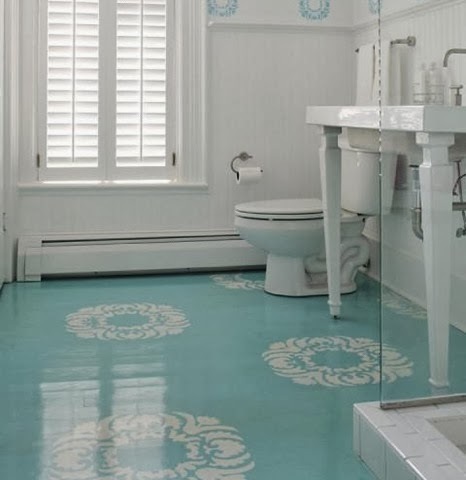 It is nothing new but what I have seen lately is painted wood floors being done in bold colors and in bigger patterns. Wood floors to me are priceless. I love the feel and look of them. Some people are way more daring than i am and paint those wood floors. Of course with few extra bucks you can always change them back. 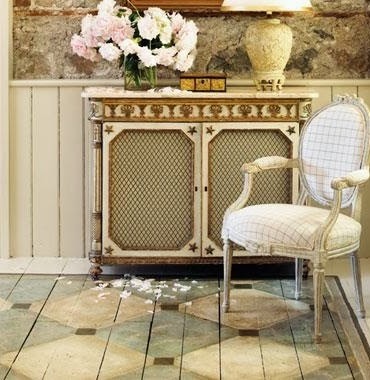 I really like the old country look on this floor. So far this is my favorite design. It reminds me of a lace table cloths my grandma made for me. Look at the bold colors of those floors. I guess you can buy the stencil since I just realized that the photo above and the one below have the same pattern. 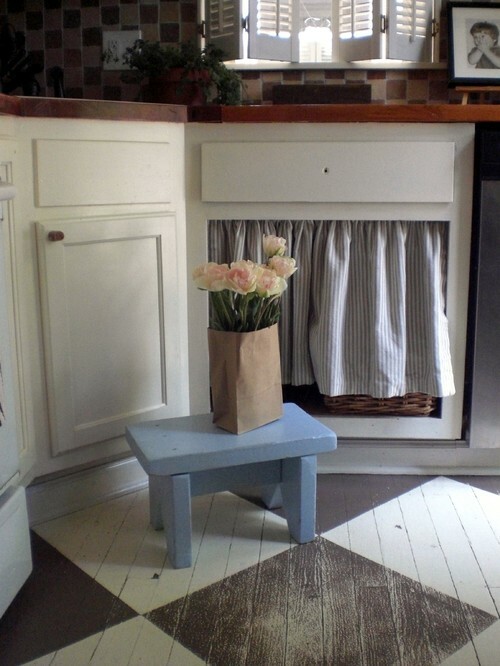 Would you paint your beautiful wood floors if you had the chance? Love them! 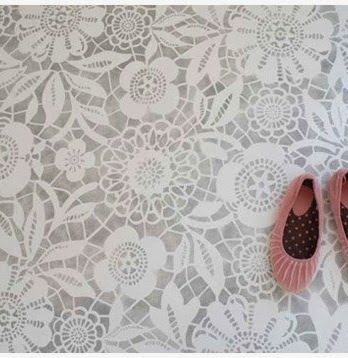 I dream about painting bright, bold patterns on my floor one day. Those last three images have me screaming *YES* at my computer! I'm so completely enamoured with that multi-colored stripe floor! 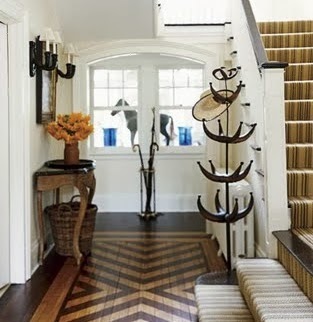 Love all the designs but personally I prefer the simple, plain output of the wood floor.